Digital health technologies have flooded the consumer marketplace in the past few years, focusing primarily on wireless mobile health (mHealth) tools, including smartphone applications, wearables, and “smart” devices such as blood pressure cuffs, glucosensors and digital weight scales. Telehealth, artificial intelligence (AI) and video visits also fall under the umbrella of digital health. Digital health technologies have the potential to transform health care delivery, but most technology companies are targeting consumer products rather than developing digital tools for clinicians to integrate into clinical care. Although cardiology is on the cutting edge of therapeutic and procedure-related technologies, the field is lagging in adoption of digital tools in health care delivery. 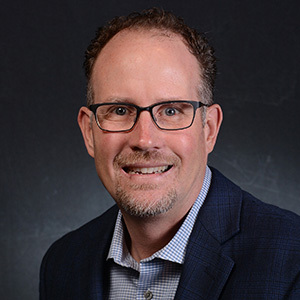 “We’re right at the beginning of what is likely to be a revolution in health care delivery, but we’re struggling in the adoption of digital technologies,” says John Rumsfeld, MD, PhD, FACC, ACC’s chief innovation officer. Adoption of these technologies in medicine will change health care delivery from traditional hospital- or office-based visits to technology-based interactions that are virtual, on-demand and patient-centered. Integration of digital health tools into clinical practice also has the potential to improve patient outcomes and reduce costs. Wearables such as the Fitbit fitness tracker, Microsoft Band and Apple Watch have a variety of functions, including step and calorie counting, distance traveled and heart rate measurement. With internet connectivity, apps can transmit biophysical measurements and patient-generated data to practitioners, facilitating shared decision-making. 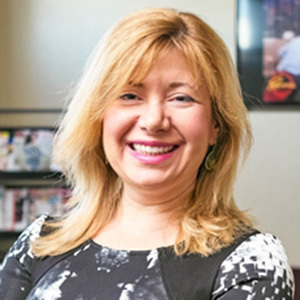 For example, digital health tools allow a practitioner to “monitor a patient’s atrial fibrillation (AFib) symptoms between visits and provide point-of-service information about medications and possible side effects,” says Regina S. Druz, MD, FACC, chair of the Innovation Work Group. “If a patient has an issue that requires physician or medical practitioner contact, they could connect to the doctor very quickly using a virtual care interface and save the time and travel to go to a doctor’s office,” she adds. 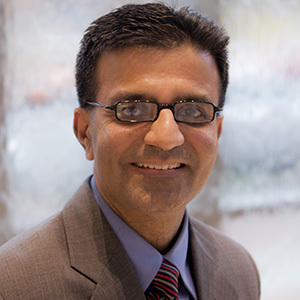 Salim S. Virani, MD, FACC, cautions that clinicians should not assume that one digital health solution will work for all patients. Something as common as medication non-adherence can be driven by many factors. “Assuming that sending one text reminder for medication adherence is adequate would be very naïve. We have to look at these issues holistically and not assume that every problem is going to be solved by a digital solution,” Virani says. On the other hand, digital health tools provide the opportunity for more personalized care. Those that provide two-way communication between the health care provider and the patient “can be individualized for the patient and provide a bit more of a human touch when you’re interacting with someone,” comments Virani. Digital health tools have the advantage of providing access to large amounts of data for epidemiologic studies, according to Virani. Data can be collected via cell phones from large numbers of patients across the world to better understand cardiovascular risk factors, for example. Conventional studies performed under standardized conditions can only include relatively small numbers of patients. With the use of mHealth and internet-related technologies, “the denominator for interventions can be quite large,” Virani points out. For example, an intervention that lowers blood pressure by 2 mm Hg in 2 million individuals is better than one that lowers blood pressure by 5 mm Hg in 500 individuals. “Even if the effect size is small, the overall numbers you can affect with digital health solutions is fairly large. Small effect sizes can be very large for the population in terms of overall benefit. So, I think that’s where digital health solutions have an edge over traditional forms of research,” Virani says. Another challenge is the proliferation of digital health technology companies with a myriad of different digital solutions, many of which are not specifically designed to address clinical problems and are not integrated into clinical care. Most of these are consumer products that are not designed to be innovative for the health care system or for use by individual clinicians. Steps are being taken to resolve these challenges. 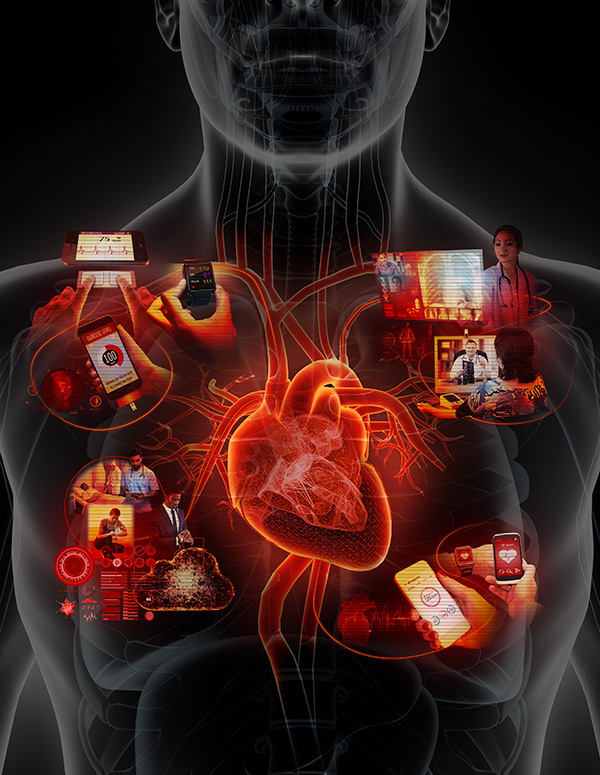 The ACC launched an ambitious Innovation Strategy in 2016 to enable the ACC to lead, facilitate and partner in the digital transformation of health care in order to achieve its mission to “transform cardiovascular heart health” and create “a world where innovation and knowledge optimize cardiovascular care and outcomes.” “There is no reason the ACC should not be in a leadership position in the adoption of technology to improve health care delivery, because that’s the only way we will effectively transform care,” notes Rumsfeld. As part of its Innovation Strategy, the ACC most recently established a new member section on health care innovation to support the professional and career development of ACC members who are interested in digital health technologies and other health care innovations. The College is also working to promote evidence generation and the sharing of best practices in digital health. “We want to make sure the decisions being made for our patients in terms of which digital health tools we’re going to use are purely grounded in outcomes that matter to the patient, that they are driven by data in large numbers of patients,“ says Virani. “We’re bringing leading universities and digital health companies together to generate evidence and facilitate practice sharing so we can help our members identify which digital health tools have evidence and therefore may be worthy of adoption,” adds Rumsfeld. Although large-scale studies of digital health tools have been lacking, some are currently enrolling and a few have reported encouraging results. For example, Apple has partnered with Stanford Medicine to launch a study of the Apple Heart Study app using the Apple Watch heart rate sensor to collect data on irregular heart rhythms and notify users who may have AFib or other arrhythmias. In 2017, the University of California San Francisco Health eHeart Study reported that the Apple Watch heart rate sensor, when paired with the Cardiogram app using an AI algorithm, detected AFib with 97 percent accuracy, 98 percent sensitivity and 90 percent specificity in 6,158 users.2 The ongoing study plans to gather heart health data in larger numbers of participants than have previously been studied. Recently, the U.S. Food and Drug Administration (FDA) released a digital health innovation action plan and is launching a novel pilot program to facilitate digital health product approvals. The AliveCor KardiaBand electrocardiogram (ECG) reader was recently approved by the FDA. The KardiaBand is used with the Apple Watch to provide a continuous ECG reading when activated by the integrated sensor. AliveCor is also introducing deep neural network software that can potentially detect an abnormal heartbeat when used with the KardiaBand or KardiaMobile ECG reader. According to Rumsfeld, remote monitoring technologies such as the AliveCor product are very promising for measuring ECGs or heart rhythms. “We’re starting to see evidence from some of these that they can provide meaningful information to help better manage patients,” he comments. The ACC is taking a leadership role in facilitating the digital transformation of health care, promoting evidence generation, and facilitating the development and implementation of digital health tools. “We’re not convinced that the best digital health solutions exist yet,” says Rumsfeld. The College is interested in identifying the key problems that need to be addressed in health care delivery and in working with the technology sector to solve them. “We want to help procreate with the digital sector new digital health solutions, using ACC members and their practices, hospitals and health systems to develop, test and implement digital health tools in practice,” adds Rumsfeld. Digital health companies from startups to the largest technology companies are eager to work with the College because they recognize that the most effective way to develop new health technologies is to partner with the clinical enterprise. ACC’s goal is to partner with these companies, identify the problems and help design tools to solve those problems. Totten AM, Womack DM, Eden KB, et al. Technical Brief No. 26. AHRQ Publication No. 16-EHC034-EF. Rockville, MD: Agency for Healthcare Research and Quality; June 2016. Marcus, GM. Detecting atrial fibrillation using a smart watch – the mRhythm study. Heart Rhythm Society; Heart Rhythm 2017. Bhavnani SP, Sola S, Adams D, et al. JACC: Cardiovasc Imaging 2017;Sept 9:[Epub ahead of print]. Machine learning has attracted considerable interest in the fields of cardiology and cardiovascular imaging. 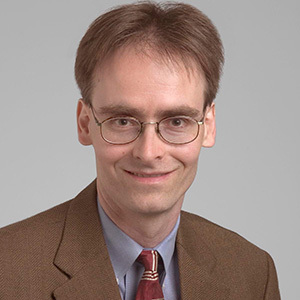 Schoenhagen explains that contemporary cardiovascular imaging analysis supported by dedicated software allows identification of a large number of measurements and variables. In the future, additional variables may be provided directly by patients via personal monitoring devices. The analysis of these variables has the potential to identify patterns not obvious from typical image review, improve diagnosis and prediction of outcomes for individual patients, and identify trends in larger patient populations. Watson, IBMs AI, is currently a medical student at Cleveland Clinic, “learning how to analyze patient population data so we can bring precision medicine to patients,” says Schoenhagen. “In my opinion, AI will become increasingly integrated into routine workflows of physicians and caregivers in both cardiovascular imaging and cardiovascular medicine in general.” Physicians will have to learn to integrate the results into established workflows to benefit patients. Within a health care system such as Cleveland Clinic, the results could be used to develop and adjust clinical pathways and monitor impacts on outcome measures. Schoenhagen P, Mehta N. Eur Heart J 2017;38:508-10. Motwani M, Dey D, Berman DS, et al. Eur Heart J 2017;38:500-07. Click the cover image above to read the full Jan 2018 issue of Cardiology in e-pub format.